This week one of SCSJ’s redistricting cases made a real difference in the lives of women across the State of Texas. SCSJ represents the Texas NAACP in redistricting litigation that, among other things, successfully kept Texas from fragmenting the minority populations in Texas Senate District 10, the district that elects Senator Wendy Davis. Senator Davis is white, but election results demonstrate conclusively that she is the candidate of choice of voters of color in that district. On Tuesday, Senator Davis stood on her feet for over 10 hours, filibustering one of the most stringent abortion bills in the country. A bill that would have shut down nearly every clinic in Texas that offered abortions. She could not sit, drink, eat, or use the restroom. She couldn’t lean against the podium. And she prevailed. 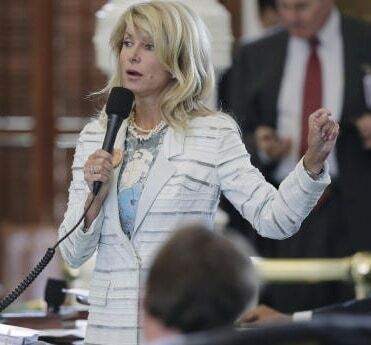 The Texas legislature may overturn her victory in the future, but for now the women of Texas are safe. The redistricting battles we fight produce real victories all the time, but this one was special — because of SCSJ’s redistricting litigation, Texas voters were able to keep electing a fierce champion for women’s rights. Enter the Supreme Courts’ decision in the Shelby County case. The very same day that the Voting Rights Act was weakened, Texas Attorney General Greg Abbott vowed that the state would advance a voter ID law and North Carolina’s legislative leadership promised new restrictions on early voting. SCSJ continues to believe in the power of fair elections. But without your help, we do not have the resources to continue to fight these battles. Your donation today will go directly toward defending against unfair redistricting plans that could silence important leaders like Wendy Davis. Together we have the power to stand up to far-right attempts to dilute the votes of communities of color. Together we can ensure that the voters of Texas, North Carolina and every other state have the power to elect politicians who will stand firm for the rights that matter most to us. Click here to support SCSJ’s work!